The W Audio DSR-12A active speaker offers superior sound and has features that until now have only been found on more expensive equipment. 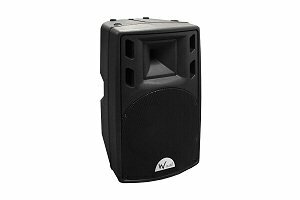 True 450w RMS makes them ideal for discos, karaoke, musicians and fold back monitors. * Includes a quality protective padded cover for transporting *.